December Birth Flower | What is your Birth Flower? Just like your birthstone and sign of the zodiac, did you know you have birth flowers, depending on the month in which you were born? These are the two birth flowers most commonly associated with December. The holly has relatively inconspicuous flowers, so maybe it should be described as the December birth berry! The delicately scented flowers appear in spring, and attract bees and butterflies. Just to complicate things further, they’re technically not berries, but drupes. And as if that weren’t confusing enough, the holly’s Latin name is Ilex, meaning evergreen oak, probably because someone thought the leaves resembled those of an oak. This is an extremely adaptable plant, native to large parts of the world and inhabiting climates ranging from temperate to tropical. The one you’ll usually see growing in the UK and used in Christmas decorations is Ilex aquifolium, the common, English, or European holly. 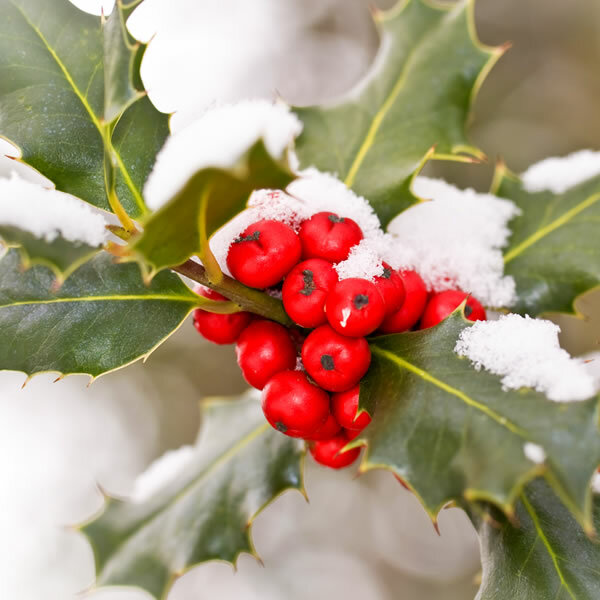 As the December birth flower (or berry, or drupe, or whatever you want to call it), the holly is full of symbolism. In Christianity, the berries were believed to be white, but stained red by Christ’s blood, while the spiky leaves represented the crown of thorns. Today, it is associated with happiness and optimism. 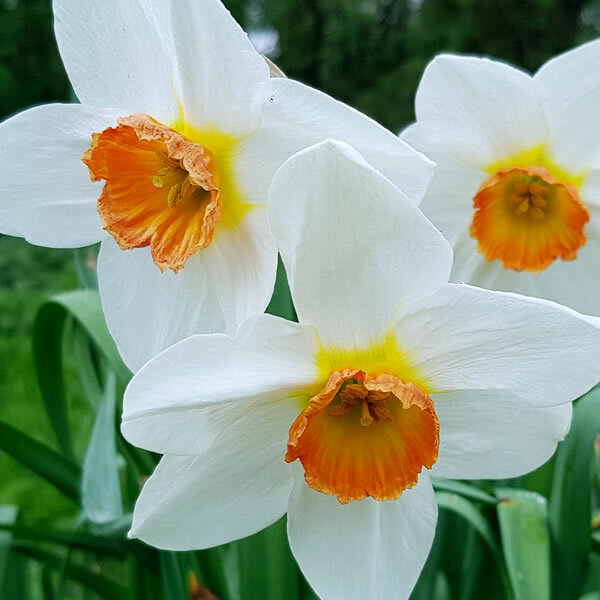 Paperwhites are cultivars of species such as Narcissus papyraeus, N. tazetta and N. canaliculatis, which are natives of the eastern Mediterranean. Because of this, they don’t grow outdoors easily in the UK, except in very southern and/or sheltered locations. But they’re easy to force indoors, and you’ll be rewarded with a wonderful, house-filling fragrance and small, paper-thin flowers. And here’s a little-known fact: researchers at Cornell University found that a shot of gin or vodka added to water stops paperwhites from drooping as they grow taller! Paperwhites are birth flowers for December, symbolising sweetness, purity, and simplicity. When it comes to birthday gifts, you can’t go wrong with eFlorist’s spectacular selection of bouquets.